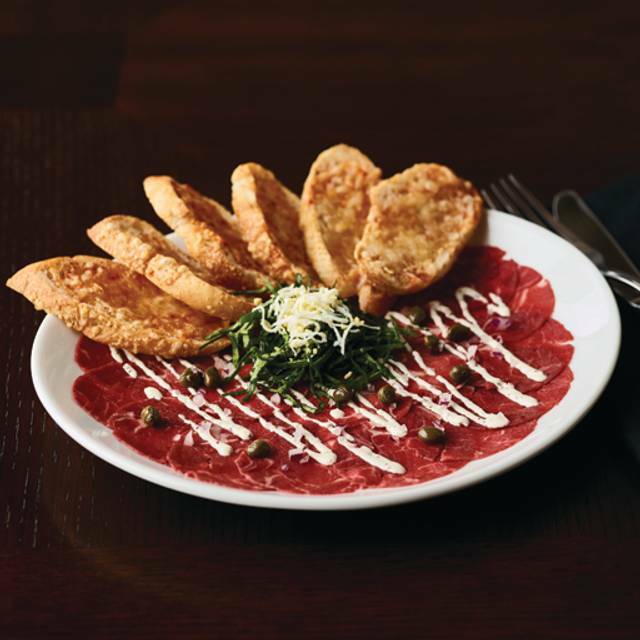 You must make reservations at least 5 minutes in advance of the time at Fleming's Steakhouse - LA. We validate for the first two hours of parking in the LA Live East Garage, located off of Olympic & Francisco. Convenient to Metro, Dash & Bus Stops. Food has gone way down hill. Ceasar was mushy and not crisp, an olive oil poached Kanpachi was flavorless, and the craft cocktails tasted like they were made with old juice and without any care. Food is always very good and beautifully presented. Wait staff very attentive. Kent takes care of everything! He’s the best! 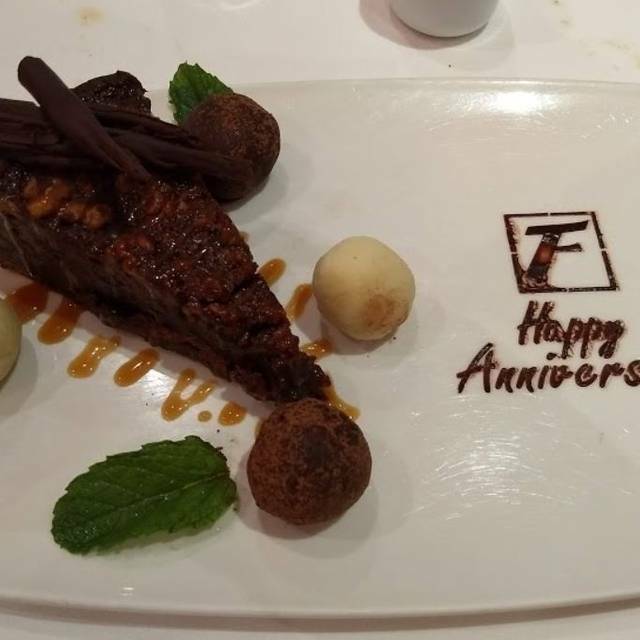 First time dining at Fleming's steakhouse, my husband and I had a great experience, we got seated right away, the waitress was really nice, great service, food was delicious and what can I say, dessert was delicious, we had Chocolate lava cake. Flemings was very good. Very crowded before a basketball game. The staff did a good job keeping up and providing service in a completely packed restaurant. 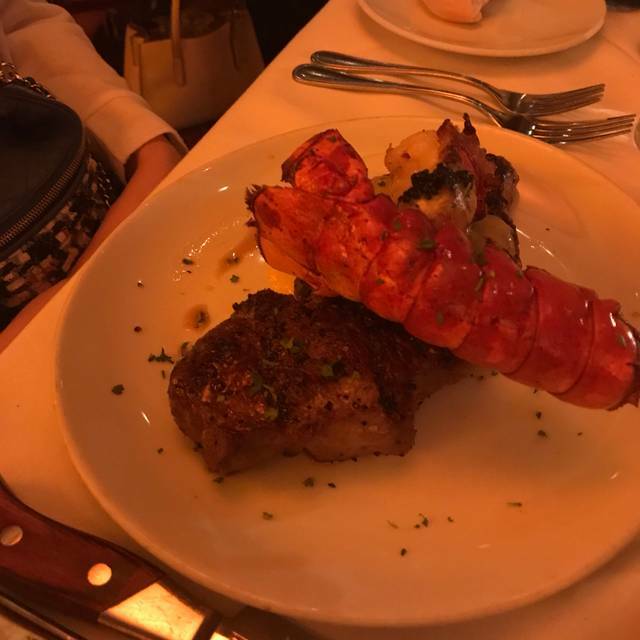 Server was very friendly and knowledgeable We had the 3 course meal which consisted of a Cobb or Caesar salad, 8 oz filet and 7 oz lobster tail or king crab. The steak melted in your mouth and the crab was sweet and tasty. Desert was choice of key lime pie or carrot cake, both were amazing. I was stuffed and had to take half my desert home. As a wine collector I always bring my own wine. Corkage fee is $25.00, a little high but for me but definitely a big saving as I would have had to pay $60 more for the same bottle. Great service and the food was excellent. Definitely will be visiting this establishment again. The ambience feels more like a bar setting. It was loud and irritating. I felt like I was eating at yard house or something. The one in Pasadena is way better. Ordered a medium 11oz filet. Could only eat half of it because most of it was well done. 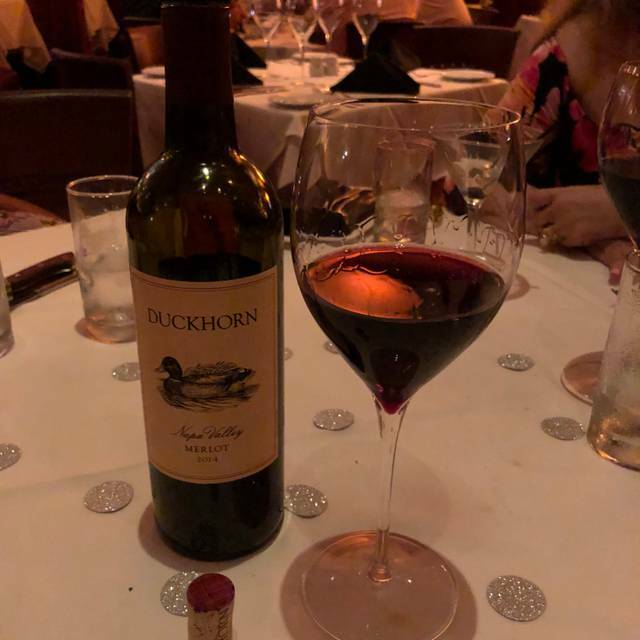 Certainly a bit pricey, but everything was perfect, from the quality of the food, the service was over the top, and the noise level was very tolerable. The white wine list was very disappointing, listing only a handful of white wines, nothing extraordinary, and the one French white was almost undrinkable. Finally settled for a Rombauer Chardonay, at $96 certainly not exciting. But the staff is wonderful and very attentive and very cheerful, a happy to see you attitude, and the steaks were fabulous. My steak was over cooked, the mashed potatoes tasted like sugar was in them and my Diet Coke was flat. 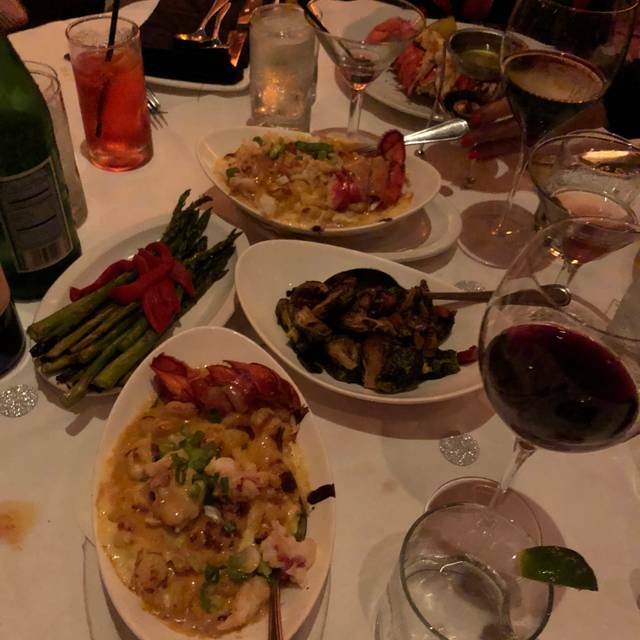 The server was not very attentative... this experience was not so good and I was visiting from Atlanta, where I had a much better experience at Flemings. Always a great meal at one of my favorite steakhouses around! Was looking for a great casual place, not too stuffee. Steak was amazing, service was great. We will be back. Omg the best experience ever. I just went for my bday 2days ago and the food,the service and ambiance was amazing I can't wait to go back! With out a refill on drinks!!! 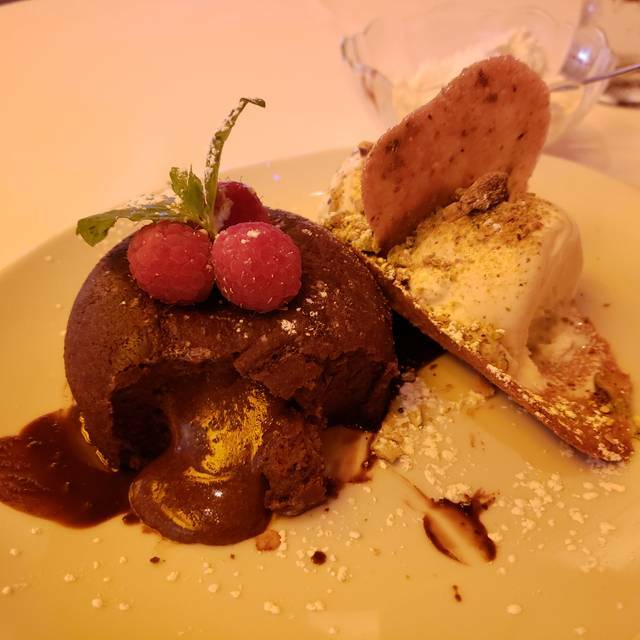 The service was exceptional and especially given how crowded the restaurant was on Monday evening (3/11/19) - I ate lunch and dinner the same day since the quality of service, food and ambiance was so nice. I also stayed for after dinner cocktails. I was in town for business and felt like I was in a restaurant in my hometown of WDC. Alex the bartender and Liz? Our servers were very friendly and talented mixologists - the host with the three fish eye pin was also great! Thanks for a lovely evening! I’ll be back. Fleming's is always very good. My filet was wonderfully prepared. 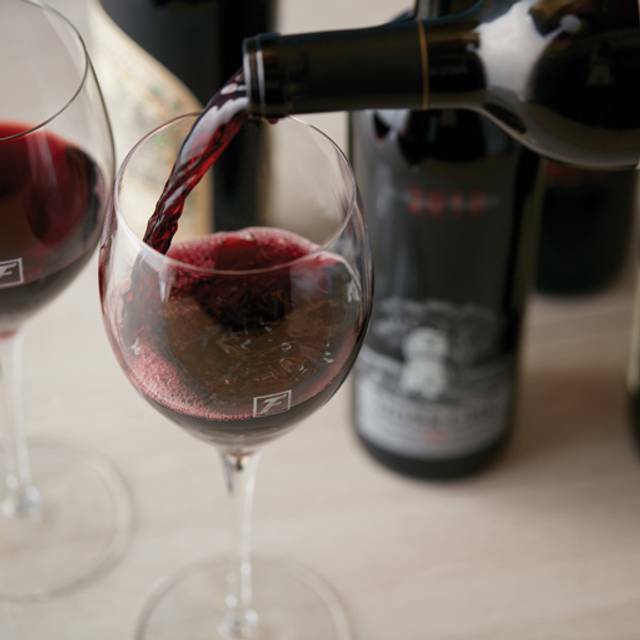 A very impressive wine list always helps. Prices on all are a little high, but you know what you're going to get. Yes, it's worth keeping on the rotation of places to dine. One of our guests asked if he could order a burger off the bar menu and was told "no". About 20 minutes later, the table next to us was served a burger. Very frustrating and the waiter had zero personality. Best food, best service! Greatly enjoyed our time! It was my son birthday ,so me and my wife his mother took him and his wife out for his birthday we ate so much food. And it was great. And the managers stopped by and wished him a happy birthday it was so cool. 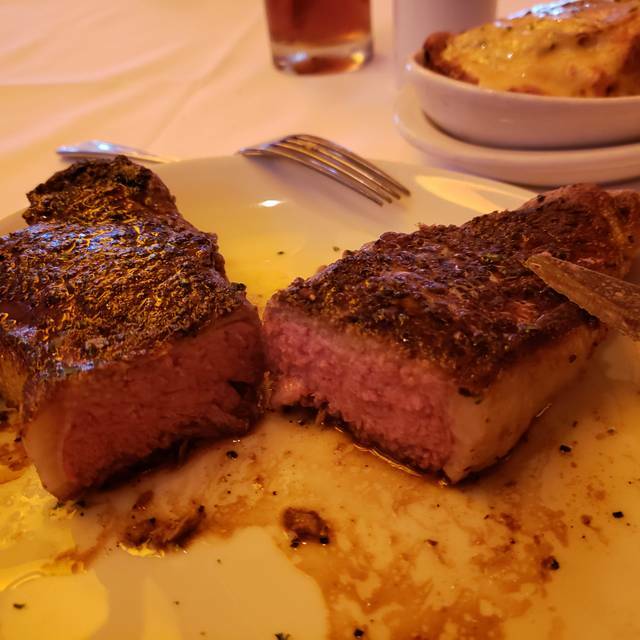 This was our first time at Flemings and we were very pleased with the service and food. We used a gift certificate given to us by friends for our 60th anniversary and the staff and manager were very attentive and gave us a congratulatory card plus two glasses of wine and a beautiful box of chocolates! The steak was done to perfection as were the side dishes----in fact everything, starter salads and desert were delicious! A fun place to go in every respect! No matter what city you are in Fleming’s is always a great choice for steak at a real price. Service at this location was phenomenal as well! Thank you for helping me impress my guests! Great service, but, aside from the steaks, others on the menu are mediocre. I do not think it’s worth the price, unless you’re a steak lover. 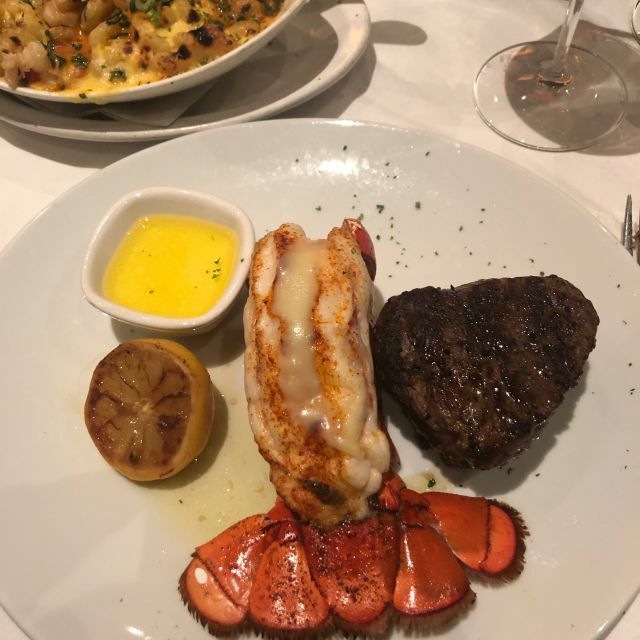 Best steakhouse at LA Live! Both the service and food never disappoints! Had a great experience at Flemings in the LA Live area. A lil pricey but the food was well prepared and delicious. The libations were very top notch! We would definitely go back when we are in the area. Great food and attentive serving staff. Waiter was exceptional. Front desk staff not very welcoming. Great food but they accidently spilled a glass of wine on my wife on our anniversary 😔.